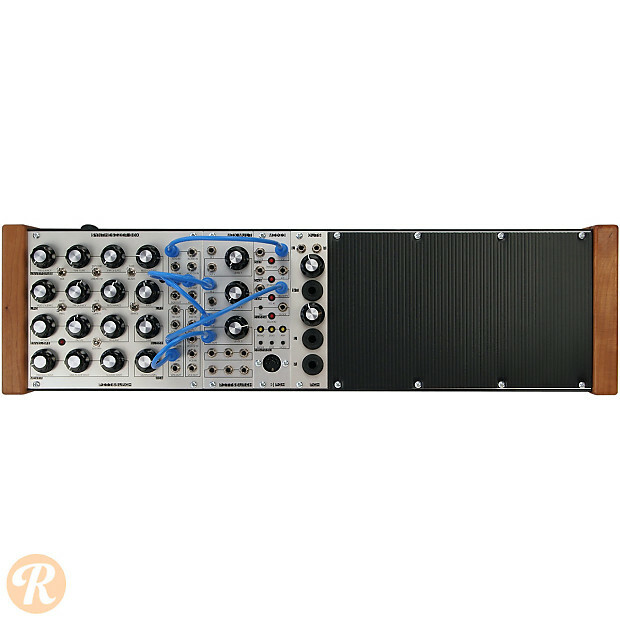 The Pittsburgh Modular System 10.1+ is a complete modular voice in a compact 90hp Cell case. Built around the Synthesizer Box multifunction module which packs the Waveforms oscillator, LPG lowpass gate/filter, ADSR envelope, VCA and patchbay into a single unit, the system also includes a Mix Mult for combining and sharing signals a MIDI 3 for getting external control into the system and the full featured Outs output module. It includes 32hp of additional space for expansion as well.